The ultimate solution for your personal UWM file storage is here. OneDrive for Business is more than a cloud storage service; it also allows you to upload, create, and share files online so you can access and edit them anywhere you go. With a full terabyte of storage space and robust content management features, OneDrive for Business is the best place for your files. This simple and efficient storage solution is ready and waiting for you. What good would that 1 terabyte of space be if you couldn’t access it? OneDrive for Business has you covered. Your files are stored in the cloud, so it’s accessible anywhere you have an internet connection. Just log-in to your Office 365 account, and get instant access to your files, documents, and pictures. How about mobile access? We’ve got that too. As part of your Office 365 account, mobile versions of OneDrive for Business are available for use, so you can access your files on the go. Pair that with the mobile versions of Word, Excel, and PowerPoint that you can obtain through your ProPlus license, and you’re all set. OneDrive for Business integrates smoothly with the entire Office Suite for easy access to your files. If you have Microsoft Office, you can add your Office 365 account to your Office applications such as Word, Excel, and PowerPoint. You’ll be able to access your OneDrive for Business files directly from those applications instead of continually logging-in through the web client. You’ll also be able to save any files you create in your Office applications directly to your OneDrive for Business space. OneDrive for Business also integrates fully with Outlook on the Web. Your OneDrive for Business library allows you to attach and upload files that you both send and receive in Outlook. Office Online is integrated into OneDrive for Business, and it allows you to edit Word, Excel, PowerPoint, and OneNote documents right from your web browser. That’s right, you can compose a document from anywhere, at any time, using a web browser. These online versions of the popular Office programs are powerful, rich in features, and accessible anywhere there’s an internet connection. No extra software or plugins needed, just log-in and get working. There’s more? Absolutely. You can also invite others to collaborate on your Office Online documents. Multiple people can edit the same document at the same time, and everyone can see each other’s changes in real time. Want to get some feedback on that paper? Need to get your group to work on a presentation? Office Online is here to help. 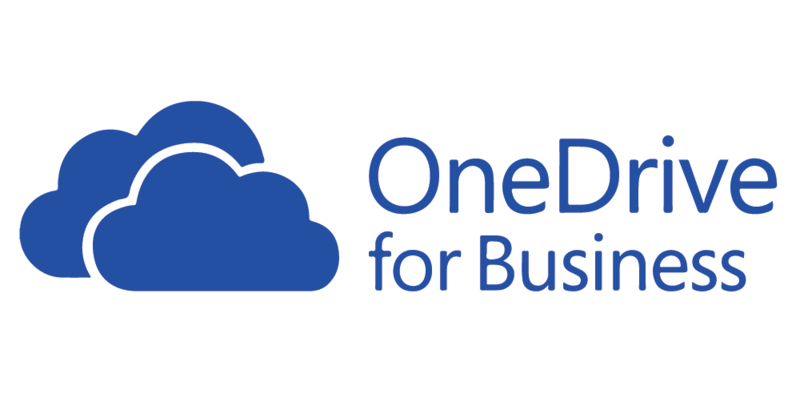 Check out the top ten reasons why we love OneDrive for Business! The Top Ten Reasons Why We Love OneDrive for Business!